Koreans are kings of preservation. We salt, cure, ferment and dry ingredients to make them last long but also to enhance their inherent tastes and oftentimes even increase their nutrition. 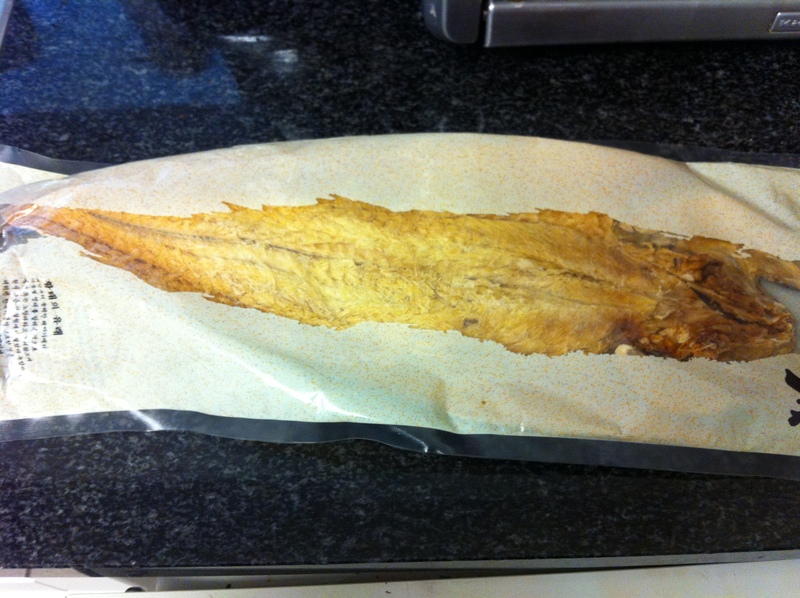 Koreans love dried seafood, which includes dried pollack. 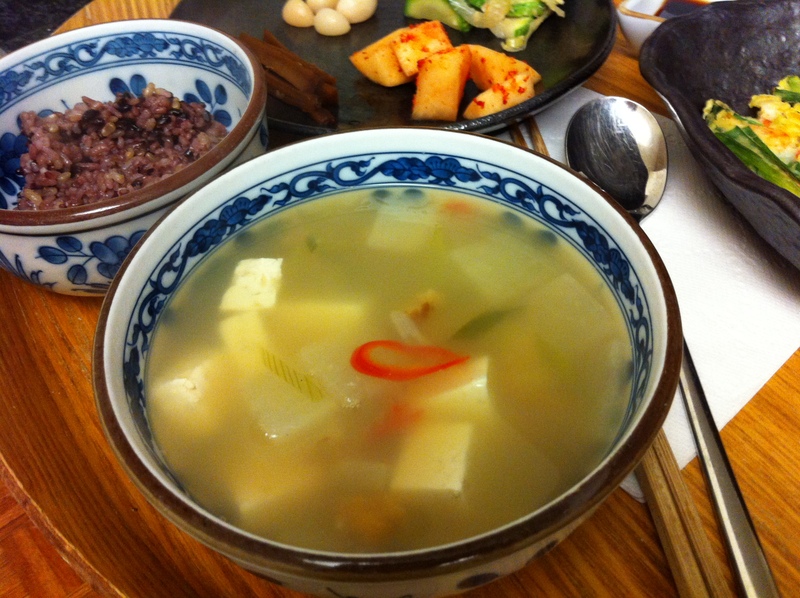 I usually keep dried pollack in my pantry and use it for this soup or banchan (반찬, side dishes). 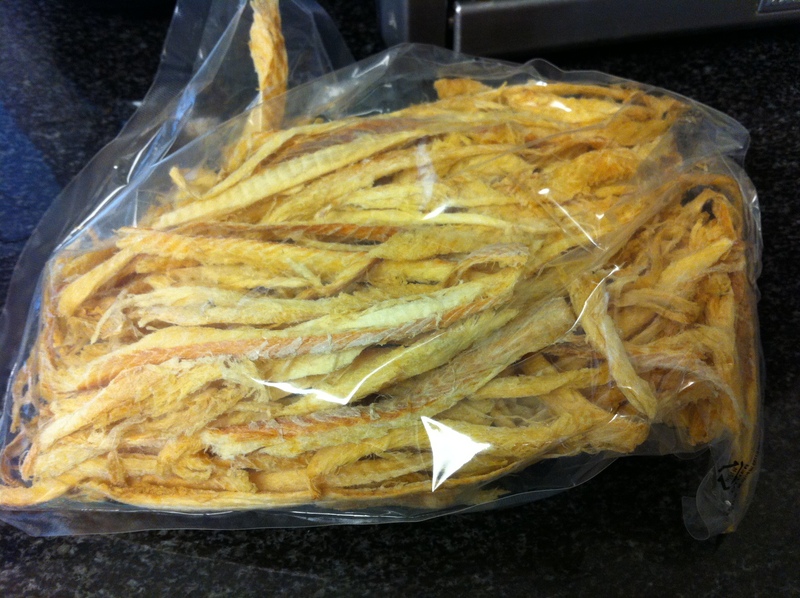 You can buy this dried fish whole or shredded. 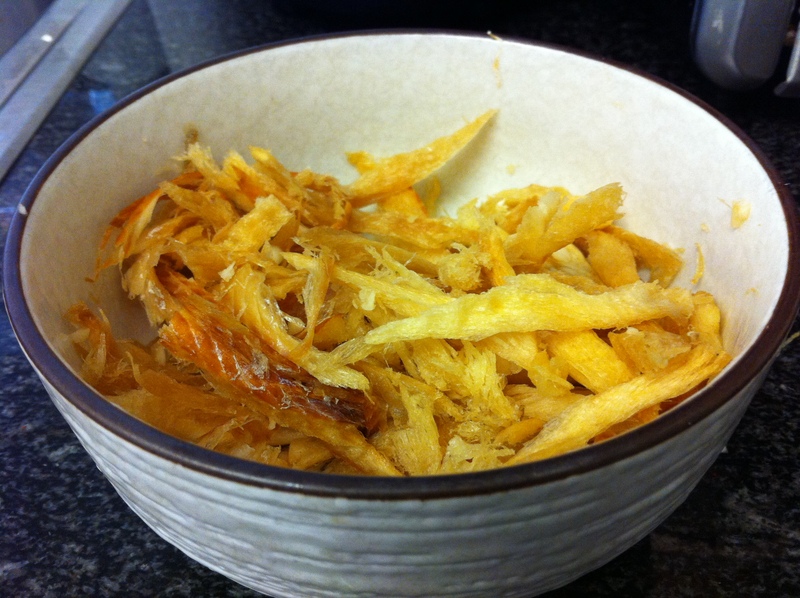 For this particular dish, the shredded kind is much more convenient. Last night my husband and I were at our close friends’ house and drank way too much wine. Of course, we did not feel that great in the morning so I whipped up this quick and easy soup, which is fantastic for hangovers. If you have a whole boogau (북어, dried pollack), rip it into small pieces. You probably have to tear the boogau more even if you buy the already torn ones. Slightly wet the boogau with water but do not soak it. Squeeze out any excess water. Marinate the boogau with the marinade and let it sit. 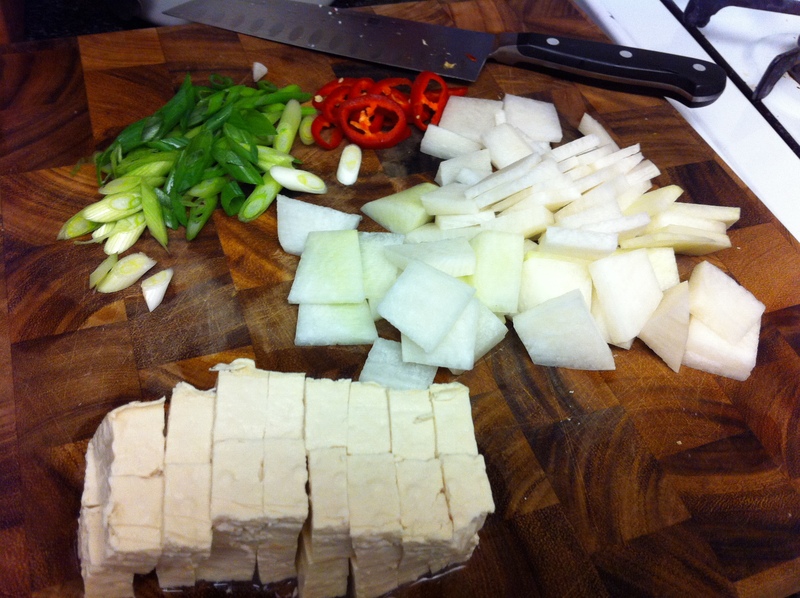 In the meantime, cut the moo into thin squares, about 1 inch squares, and thinly chop the scallions and red pepper. Cut the tofu into small cubes. 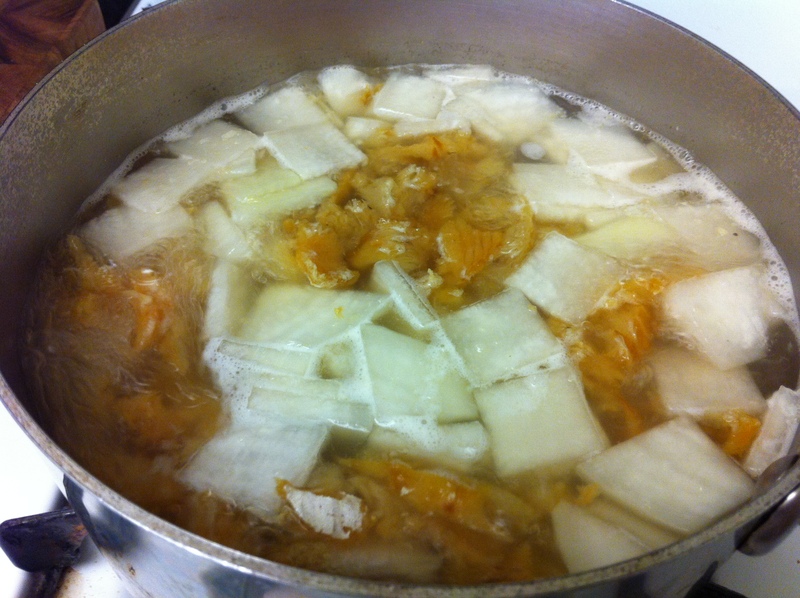 In a pot add the marinated boogau and moo into the about 6 cups of myulchi broth. Bring it up to a boil for about 10-15 minutes until the moo is slightly translucent and soft. If you have kongnamul (콩나물, soybean sprouts), add them in at this point. Close the lid and let it simmer for about 10 minutes. Do not open the lid during this time because this causes an unpleasant smell. I did not have any soybean sprouts today, so I skipped this step. 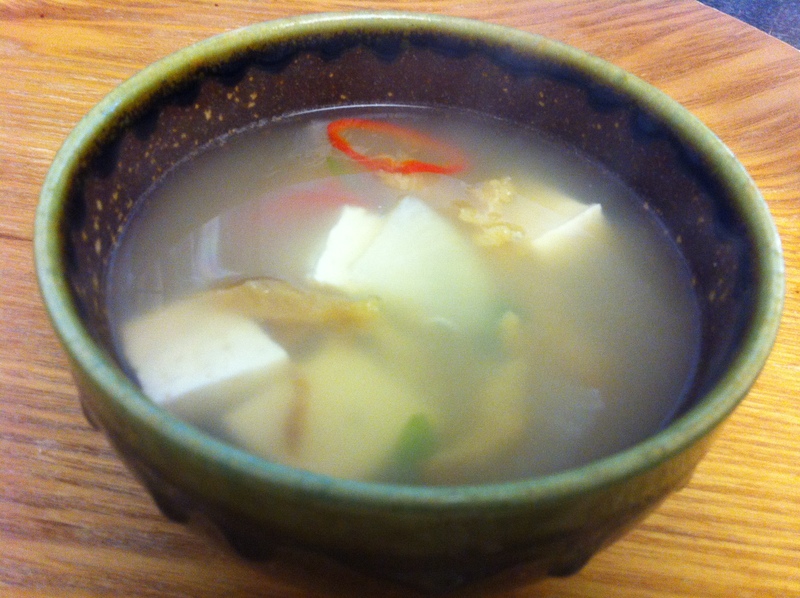 Add the tofu, 2 tablespoons of minced garlic, 1/2 teaspoon of dried ginger powder, red peppers, and scallions. Cook for another 5 minutes or so until the tofu is fully cooked. Season with a pinch or two of salt and black pepper. You can use white pepper if you like. This entry was posted in Good for breakfast, Good for dinner, Good for lunch, Seafood, Soup/Stew (국/탕/찌게) and tagged Boogua, Dried Pollack, Moo by gangnamkitchen. Bookmark the permalink.